I’m pretty sure you’re all aware that the key to financial freedom is having a budget system that works for you. Okay, so every month, you diligently make your budget using different spreadsheets, tools or smartphone apps. You’ve put in all your income, expenses, financial goals, etc. Yet, by the 30th or 31st, you still end up spending more than what you’ve planned for at the beginning of that month. So what’s the problem? The lack of accountability. 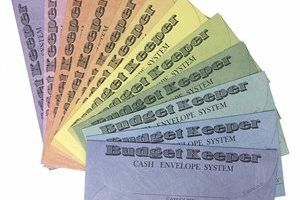 For you to avoid overspending, you need to choose a budget system that will hold you accountable for your spending, such as Dave Ramsey’s Envelope System. When your money inside the envelope is gone, it’s gone! Use your written budget if you already have one to determine how much money you need for every spending category. If you’ve never created a budget yet, learn from this blog post where I talked about The Basics of Household Budgeting. Make sure that your budget reflects your current financial situation. Depending on your monthly expenses and budget, label your envelopes with different spending categories – for example, “Groceries,” “Gas,” “Entertainment,” etc. 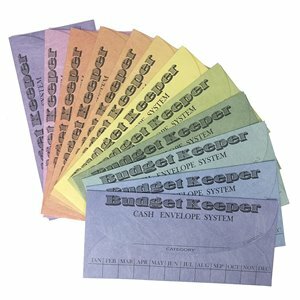 Now that you’ve already labeled your envelopes, it’s time fill each envelope with the budgeted dollar amount you’ve created in step 1. If your budget for groceries is $500, then put the exact amount inside the “Groceries” envelope, no more, no less. 4. Only spend using the cash inside the envelopes for each spending category. Let’s say you’re going out to buy groceries for the week, bring your envelope with you and only use that amount to pay for your purchase. In case it runs out, you can’t use money from other envelopes or use a debit/credit card. Remember, the system is strictly cash-only spending. 5. Put leftover money into savings. If you have a few dollars left in your envelopes by the end of the money, you are not going to spend it for shopping or eating out. 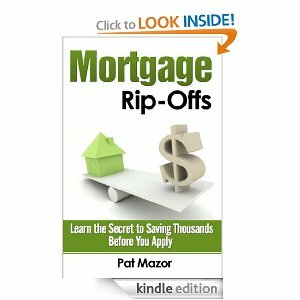 Instead, you add this to your savings or pay down a debt. Assess your budget by the end of the month and make necessary adjustments if needed. Refill your envelopes again based on your budget. When you only use cash, it helps you make wise and smart financial decisions and curb your spending. But like any other budgeting tool, you need to practice self-discipline to make the Envelope System work.